Czech employers expect slow-paced workforce gains to continue in the next three months, reporting a seasonally adjusted Net Employment Outlook of +4% for the second consecutive quarter. When compared with last year at this time, the Outlook is 2 percentage points stronger. Robot workers replacing human jobs – the debate of the decade. In reality, the opposite looks true. Our research shows more employers than ever – 87% – plan to increase or maintain headcount as a result of automation for the third consecutive year. 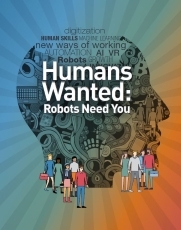 Rather than reducing employment opportunities, organizations are investing in digital, shifting tasks to robots and creating jobs. Reporting a seasonally adjusted Net Employment Outlook of +4%, Czech employers anticipate subdued hiring activity during the January to March period. 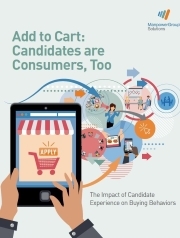 Hiring prospects decline by 2 percentage points when compared with the previous quarter but remain relatively stable in comparison with the same period last year. We found that more employers than ever are struggling to fill open jobs. 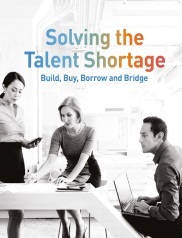 36 % say they can’t find the skills they need, and for large organizations (250+ employees) it’s even higher, with 91 % reporting talent shortages in 2018. Czech job seekers can expect a fair hiring climate in the October-December time frame, according to employers who report a seasonally adjusted Net Employment Outlook of +6%. Hiring prospects improve by 2 and 5 percentage points from 3Q 2018 and 4Q 2017, respectively. Czech employers report encouraging signs for job seekers in the 3Q 2018. Czech employers anticipate a slight increase in staffing levels during 3Q 2018, reporting a seasonally adjusted Net Employment Outlook of +4%. Hiring prospects improve by 2 and 4 percentage points from 2Q 2018 and 3Q 2017, respectively. 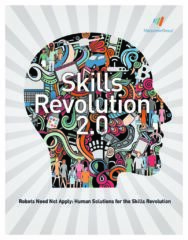 Robots Need Not Apply: Human Solutions for the Skills Revolution. Czech employers report subdued hiring plans for the second quarter of 2018 with a seasonally adjusted Net Employment Outlook of +1%. The Outlook declines by 3 and 5 percentage points from 1Q 2018 and 2Q 2017, respectively. Czech job seekers can expect some hiring opportunities in the forthcoming quarter, according to employers who report a seasonally adjusted Net Employment Outlook of +5%. Hiring plans improve by 3 percentage points when compared with the previous quarter, and are 2 percentage points stronger in a comparison with 1Q 2017. Job seekers can expect a quiet labor market in the Czech Republic during 4Q 2017, according to employers who report a seasonally adjusted Net Employment Outlook of +1%. Hiring prospects remain relatively stable when compared with the previous quarter but decline by 6 percentage points when compared with the final quarter of 2016. Czech employers expect a flat labor market in the third quarter of 2017, reporting a seasonally adjusted Net Employment Outlook of 0%. Hiring prospects decline by 5 and 4 percentage points from 2Q 2017 and 3Q 2016, respectively. With a seasonally adjusted Net Employment Outlook of +6%, Czech employers report encouraging signs for job seekers in the upcoming quarter. Hiring intentions are 4 percentage points stronger both quarter-over-quarter and year-over-year. Employment levels are expected to grow in nine of 10 industry sectors and all three Czech regions during the April-June period. Outlooks improve in five sectors and two regions when compared with 1Q 2017 and strengthen in six sectors and two regions when compared with this time one year ago. Czech employers anticipate modest hiring activity in the January-March time frame, reporting a Net Employment Outlook of +3% on the basis of seasonally adjusted analysis. Hiring prospects decline by 4 percentage points when compared with the previous quarter but remain relatively stable when compared with the same time last year. Payrolls are forecast to grow in eight of 10 industry sectors and two of three regions during 1Q 2017.